Admitad ad space is a traffic source you are going to use to send visitors to AliExpress to earn affiliate commission. 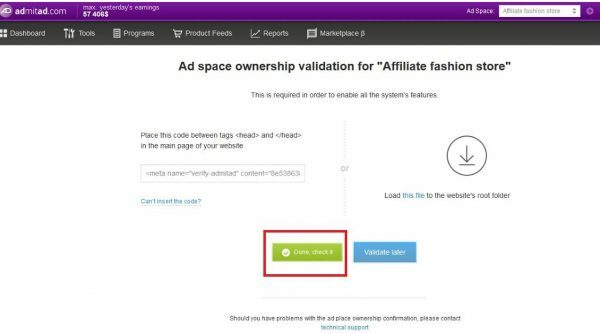 You need to create ad space to get the correct affiliate link and configure our plugin. 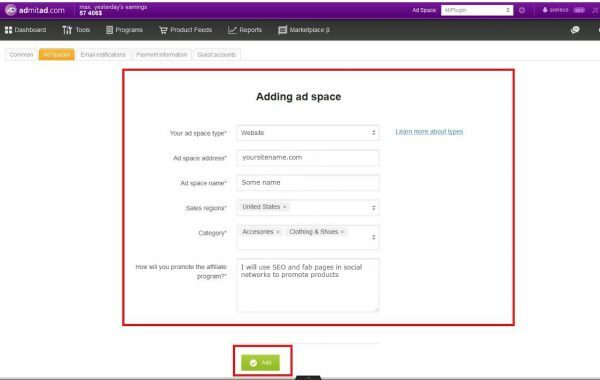 These six simple steps will help you to ad space and verify it. Step 4. Copy meta code and click Validate later if you are going to send this code to us for your custom ready store. 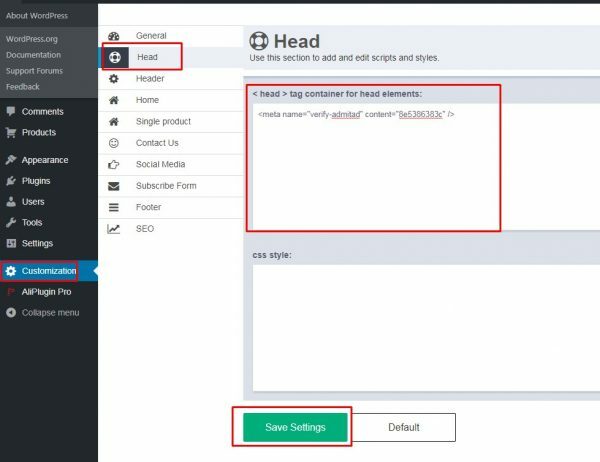 ​Note: in the field you can see only the fragment of the code and you need to pull mouse to the right with the left button pressed to select and copy the code completely, then paste the code to the message and sent it to us so that we could insert it in your site. Now you are ready to join AliExpress affiliate program and get your affiliate link.